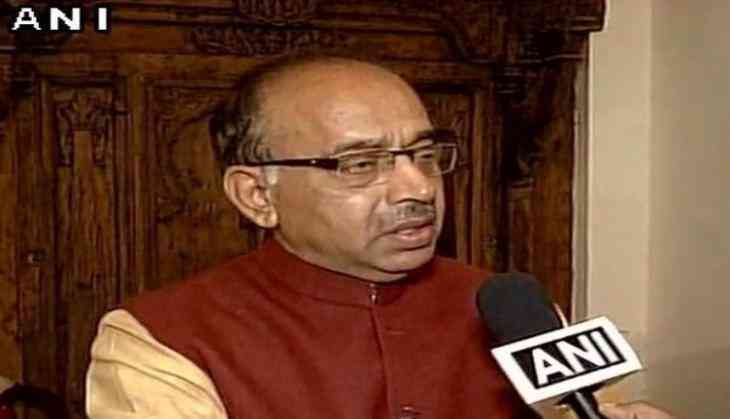 BJP leader and former Minister of Youth Affairs and Sports Vijay Goel urged the Opposition not to politicise issues and stall the Bills related to development during the Budget Session of Parliament that opened on Thursday. Speaking to ANI, Goel said," I request all the Opposition parties not to politicize issues and block the Bills. It will send out a wrong message to the public about them. All the Bills will be passed in accordance with the laid-down procedure." The Vote on Account to be presented on Friday will only be for three months before the new government presents a full-fledged Budget in July. Union Railways Minister Piyush Goyal who has taken interim charge of the Finance Ministry will be presenting the budget on February 1. स्वरा भास्कर ने मुसलमानों को लेकर दिया बड़ा बयान, तो भड़कीं ये मशहूर कलाकार बोलीं..